A UB Education Sets the Stage for a Bright Future. Here is How. 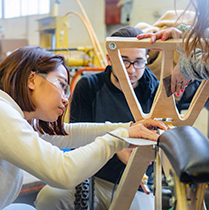 UB has the widest range of academic programs of any public institution across New York or New England. From the arts to the sciences and everything in between, our students choose from 125+ undergraduate majors, 40+ combined degree programs, 205+ master’s degree programs and 90+ doctoral programs. UB students are more than grades and test scores. They think big, take action and drive change, leaving their mark on the university and the world around them. We offer more ways to learn. Discover an education beyond classroom borders through the University Honors College, Experiential Learning Network, Center for Undergraduate Research and Creative Activities, and more. We open doors to the world. Any student from any major can study abroad through 1,000+ options across seven continents. It’s one way our students develop the skills they’ll need to be leaders in a global community. Our campuses are constantly in motion. Life at UB is fun, exciting and safe. We have 300+ student clubs and organizations, Division I athletics, club and intramural sports, and many more ways for more people to get involved. Buffalo is a historic city with a modern edge. UB students enjoy the best of big-city living in a place with a small-town feel. 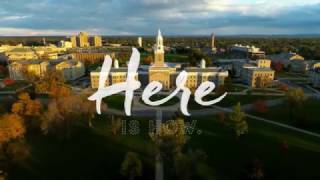 Want to get a firsthand look at UB? We can help you plan your visit. Find out how to get here, where to stay and what to do once you’re on campus. Our tuition is only a fraction of the cost of attending a private college or university of comparable quality. UB is an exceptional university looking for exceptional students. Find out what it takes to join our community. Applying to UB is fast, easy and secure. Choose the appropriate option to learn more.